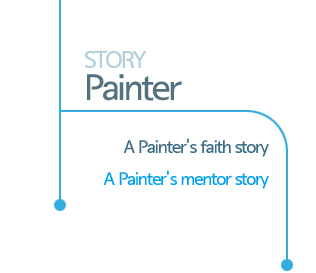 A Painter's mentor story > You have to do it until the end to defeat Satan. You have to do it until the end to defeat Satan. Satan ‘has received a sentence of destruction from God.’ Therefore, his authority cannot reach the end. But why would Satan lay a hand on us despite having received the sentence of destruction? It’s because there is ‘a period of time’ in which God carries out the destruction of Satan. but since they’ve received the sentence of destruction, they cannot go until the end. he has no authority to go to the kingdom of Heaven nor does he have authority to follow the path of life. It is because he disobeyed God’s Word. You must not only know about God. You must know about satans as well as the devils. You need to know both sides. Soldiers need to know both sides. They must know about their nation, as well as their enemy. We are like soldiers in a world of fighting against Satan. Therefore, we must know about God, and we must know about Satan. Satan studies and researches how to harm us, so we also must study every day in order to defeat Satan. Satan cannot do things until the end. Satans cannot do things until the end since they are lacking in intelligence. People within Satan are lacking in intelligence. They cannot do things until the end because they are under Satan’s control. Satans like darkness. This is because they use it to hide themselves. If it is not dark, their unrighteousness will be revealed and seen. Satans study and make efforts every day in order harm your life. Therefore, you must know the deep cunning of Satan and fight back. And you also must make efforts and study. If you deal with satans, demons, and ghosts with knowledge, they will disappear. If you recognize a swindler, they will avoid you. Why? Because you recognize their contradiction. Do the work you must do no matter what. Then Satan cannot sneak in. You must act powerfully and boldly. Then Satan cannot make that power falter. Your heart must be firm, then Satan cannot tempt you. When you realize and take action, Satan cannot sneak in nor can he tempt you. If you take action perfectly, Satan cannot sneak in. If you unite with God and the Holy Spirit, Satan flees. Satan cannot go until the end. We will win as long as we go to the end, we must just go to the end. In the Bible, Satan’s number is 666. Our number is 777. Therefore, if we go to the end, we will win. It is because 7 is one number higher than 6. We win with that one number. But Satan can win if we don’t go to the end. You must not give up even if you lack strength or are incapable. Even if you sleep and fail to do something, do not give up. If you don’t give up, you will win. Why? Because Satan will die along the way when the time comes. It’s because it is predestined that Satan be/is unable to do things until the end. You must always perceive this message without forgetting it. And you must always do things until the end.